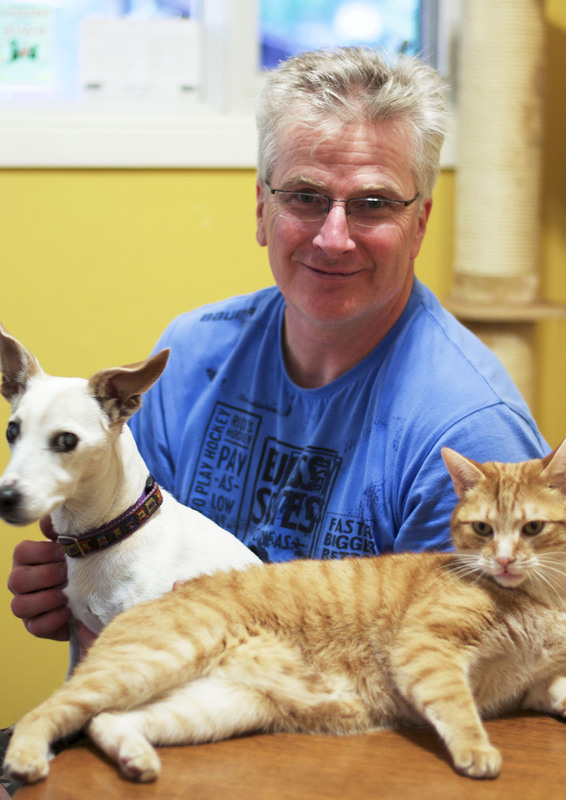 John was getting a bit of loving from Bailey (dog) and Alfie (cat) this morning. Alfie really likes Bailey and wants to rub all over her. Unfortunately, it’s unrequited love as Bailey likes to snap and growl at Alfie.